And on we go... Modact 6! the SAS Seriously KickAss Mod Activator v6.00 for IL-2 4.13RC4m!! This file is supposed to be installed on top of an IL-2 4.13RC4m + SAS Modact 6.0x installation. Run the self-extracting installer, select your IL-2 4.13RC4m + Modact 6.0x game folder as target for installation, let the installer do it's job, run the game and enjoy! This is a cumulative patch, it installs on top of any Modact 6.0x installation. 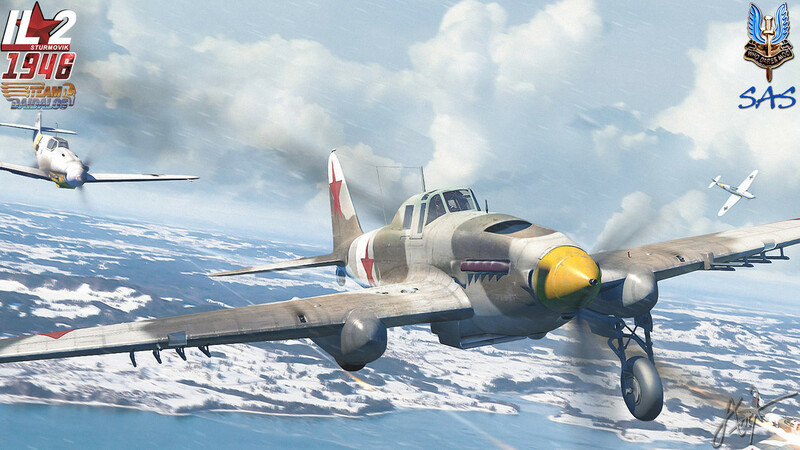 Run the self-extracting installer, select your IL-2 4.13RC4m game folder as target for installation, let the installer do it's job, run the game and enjoy! Unfortunately we don’t have much good news for you. With any game version change, it brings multiple changes and it is difficult to predict all of the side-effects. Therefore as much as pain it is, we STRONGLY recommend you create a fresh Il-2 install, patched all the way to 4.13RC4m before installing Modact 6.00. For those still on Modact v3.06/v4.0, DBW 1.71 4.101m, HSFX 6 installs, they aren’t lost forever. We suggest porting your mods across one by one and seeing what happens. You can try just patching your current install to 4.13RC4m and plonking this over the top but it is likely it won’t work. You should do this at your own risk! FMB issues with Modact 6? Delete the file "sasup_decals_01.sfs" from the folder "SFS_AUTO". You can keep it elsewhere (not in that folder, renaming won't help) if you want, but for the moment get that file out of the "SFS_AUTO" folder please until we know what exactly TD did to make it stop working correctly.